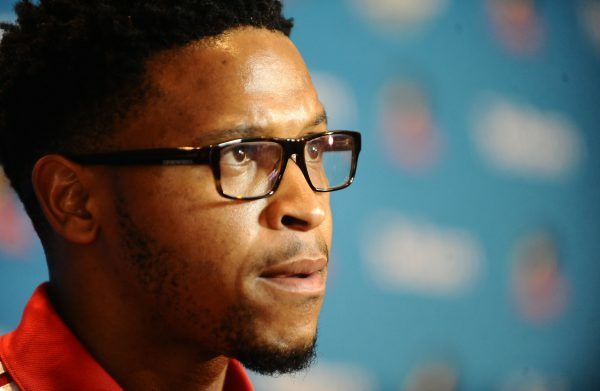 Former Orlando Pirates and SuperSport United midfielder Thandani Ntshumayelo has joined Baroka FC for trials. Ntshumayelo started training with Bakgaga on Monday as he tries to secure a contract with the Telkom Knockout champions. The 28-year-old was invited by his former coach Gavin Hunt to train with Bidvest Wits after his ban for testing positive for cocaine was lifted. However, he failed to convince Hunt to offer him a contract. Ntshumayelo then tried his luck with Highlands Park, but could not do enough to earn himself a contract with the Lions of the North. A video of the midfielder training with coach Wedson Nyirenda’s side has now surfaced on Twitter, showing the 28-year-old pushing himself hard at training. It is believed that he could sign a short term deal with Baroka before the end of the week.